Living in a Prius is hard to do with limited space. Then add a full 50 Ltr. backpack, two pair of hiking boots, winter coat, and so on I'm feeling very crowded. 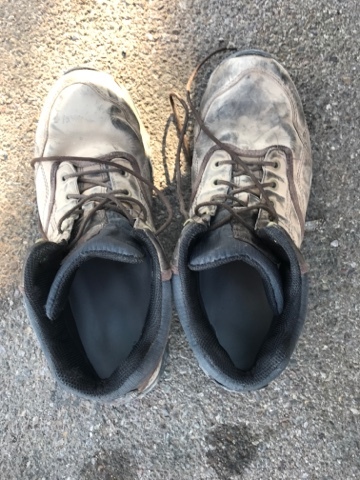 I had bought a second pair of Merrill Moab Hikers in case this pair broke prior to my hike. It gave me a backup, just in-case. These will become my hikers for the next two months of my travels. 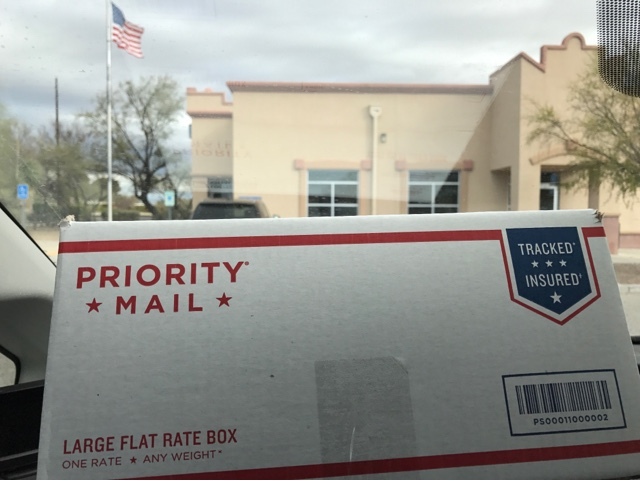 Here I am again mailing my older hiker boots and a few other small items home. I plan on one more shipment home before April 1 when I drive east. I have a few items and a requested gift to send back, and yes, I'm happy to open up some more space in my Prius. 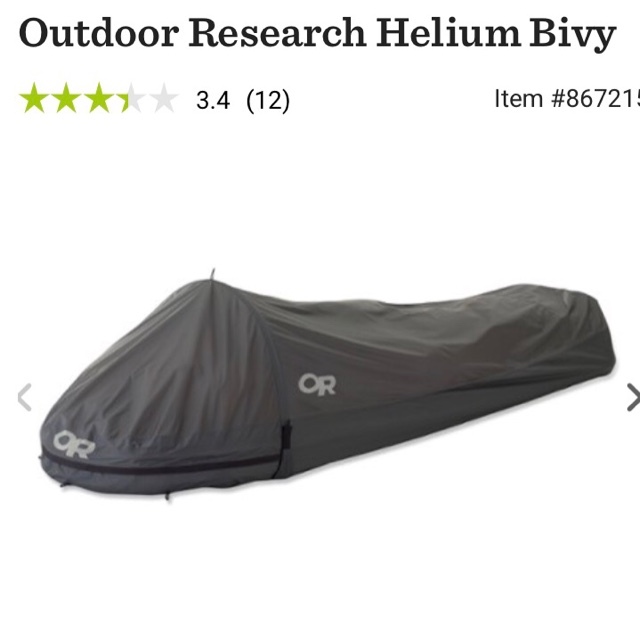 I also needed to return this REI Bivy Sac (the kind that Joanne used on the hike) that I bought just in case I needed room, and save weight in my backpack, but at the last minute I went with my $30.00 tent. Therefore, the $169.00 Bivy gets returned to REI today. Driving before sunrise this am I noticed the road ahead of me was dark on the drivers side. Investigation of the problem found the low beam was out. The other one on the passenger side died a few weeks ago. 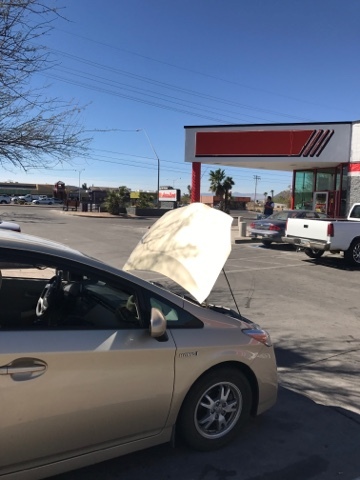 I'm back at AutoZone for a replacement. A day in the life of Prius living/organizing.